One brisk thumping by a natural disaster, totalitarian regime, or terrorist group is more than enough to reduce an awe-inspiring heritage site to rubble. With that sad fact in mind, Google Arts & Culture has paired with CyArk, a non profit whose mission is using the latest technologies to digitally document and preserve the world's significant cultural heritage in an easily shareable format. The resulting project, Open Heritage, is a massive browsable collection of 3D heritage data, already the largest of its kind, and certain to increase as its creators race against the clock. 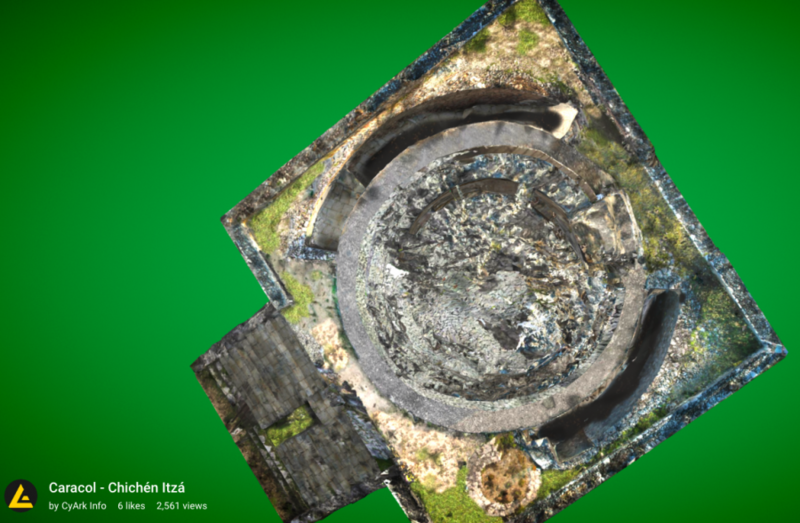 As of this writing, visitors can explore 3D models of 27 heritage sites from 18 countries. Even those of us who’ve had the good fortune to visit these sites in person have much to gain from the drone’s eye view of the Caracol observatory that’s part of Mexico’s ancient Mayan metropolis Chichén Itzá or Berlin’s iconic Brandenburg Gate. Each model is accompanied by an expedition overview that details the site’s history and significance, as well as its location on a map. Time lapse photos help give a sense of the site’s human traffic during the time it was being documented, as well as the nature of the work CyArk does on location. Significant details are highlighted, and their symbolism discussed. CyArk will share project data with viewers who request it, using a Creative Commons Attribution-NonCommercial 4.0 International License. Equally important is the role these comprehensive 3D scans can play in current and future restoration efforts, by identifying areas of damage and documenting existing color and texture with down-to-the-millimeter precision. Begin your virtual explorations of such Open Heritage sites as Greece’s Ancient Corinth, Lebanon’s Temple of Echoun, and Ayutthaya, Thailand’s Wat Si Sanphet, here. Learn more about aerial photogrammetry, 3D laser scanning, stereoscopic 360 imagery, and other tools of the digital preservation trade here. And stay abreast of CyArk’s work by subscribing to their free monthly newsletter here.